Aston Martin Rapide S Interior, Sat Nav, Dashboard | What Car? For such a long car, getting in and out of the driver’s seat is quite difficult thanks to B-pillars that are unusually wide leaving a fairly small opening. However, once you’ve slithered your way in the Rapide’s standard sports seats will accommodate most sizes of driver well, even if they don’t provide as much bolster support as some of the British firm’s more sporting models. Electric front seat adjustment is standard and wide ranging, but the fact that the steering wheel adjusts manually at this money is disappointing. From behind the wheel it’s difficult to see out, too - that’s the price you pay for sleek styling. The windscreen is quite shallow, as are the side windows, while the rear screen is very small indeed. That’s not ideal for such a long, wide car, but at least front and rear parking sensors are standard and so too is a reversing camera. Interior quality is also a mixed bag. The main dashboard architecture is an ageing design now, and as such the dash materials, steering wheel and switches look and feel pretty average for a car that costs so much money. Not only that, but the Rapide’s many rotary dials and numerous buttons aren’t particularly logically laid out. 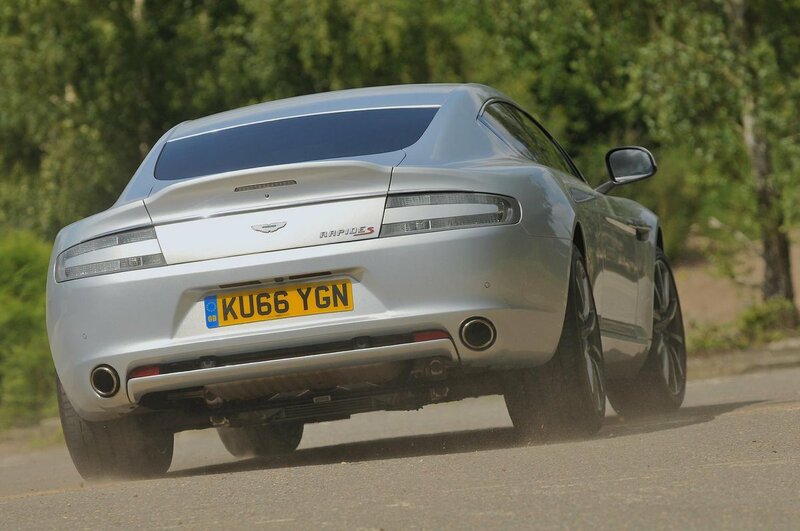 Certainly versus cars from Bentley, Audi and Mercedes, the Aston lags behind. However, the quality of everything else is much better, including the hand-stitched leather seats and the tall centre console that runs the length of the inside and the up into the rooflining. 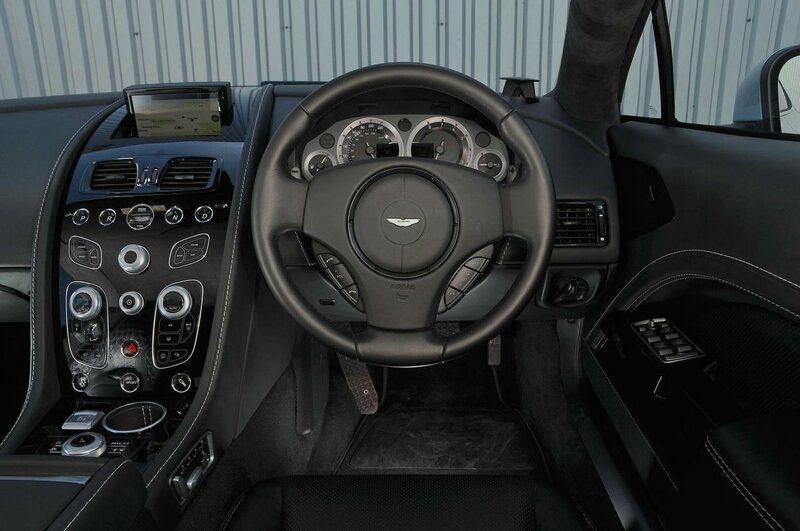 Part of the Aston’s ageing dash is its infotainment system, which consists of a 6.5in colour screen mounted high up by the windscreen and a rotary dial and shortcut buttons on the dashboard. 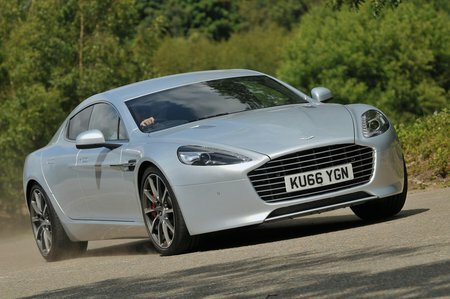 Both to look at and use, the system feels pretty archaic in this day and age, but then it’s no surprise, as the Rapide is one of Aston’s oldest models underneath. At least advanced smartphone mirroring technology Apple CarPlay is included, improving matters.